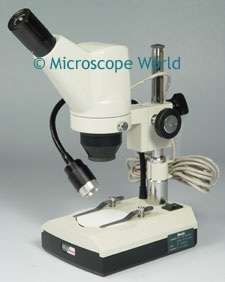 Digital microscopes, also known as USB microscopes allow you to connect the microscope directly to your computer. The microscope comes with software that when open, allows you to view a live image from the microscope directly on your computer. USB microscopes allow you to gather multiple students around the computer to see an image, rather than taking turns to view a single image through the microscope eyepiece. The software included with digital microscopes allows you to capture and save both still images and motion video. You can print images, email them, or put them into a presentation. 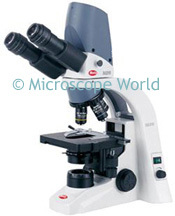 The Digital BA210 laboratory microscope is commonly found in Universities. Digital USB microscopes are made for kids as well. This kids microscope is the DS-2 microscope. Low magnification of 20x and 40x is perfect for viewing rocks, coins, flowers or details on a toy car.